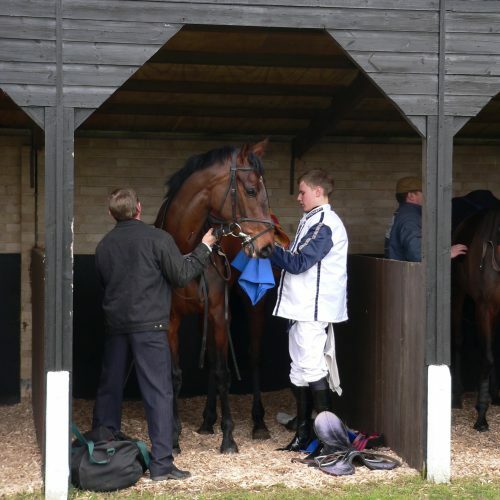 An opportunity to “try out” racehorse ownership at a low cost. Contact Phil Boyle for details and further information. We have the option of bringing in a new horse from Ireland for the summer on a free lease which means that we send him back to his current owner at the end of the period unless we want to negotiate an extended lease. He has run twice recently winning first time and finishing a close up 5th next time. He is a 3-mile handicap chaser who likes good ground and he would be an ideal sort to have as a summer jumper. Having won in Ireland, I suspect that he will be very capable of winning in the UK and he could be a lot of fun and hopefully will run several times over the summer. Any prize money won (after trainer, jockey and VAT deductions) will be distributed to shareholders less 10% to be paid to the current owner and 10% to be retained as a management fee for the running of the syndicate. This is an ideal way to try out ownership at a lower cost as 5% of this horse is cheaper than 2% of either of the other horses. Any prizes won are balloted based on shareholding and distributed to shareholders.